Content writers at Vistas, Bangalore practice the art of content writing by presenting your case from a customer's perspective. Every effort is made in understanding the client organization, its philosophy; USP's, only then we set-out to present your offerings attractively to the end user. 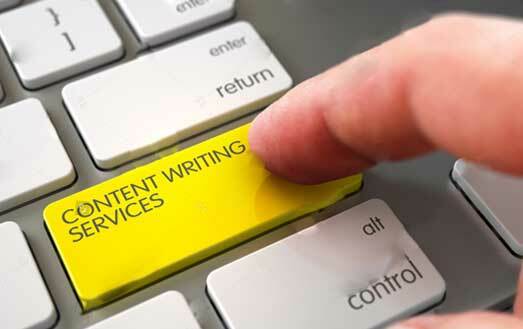 As a prominent Content Writing Services Company in Bangalore India, Vistas' has on its team specialist content writers providing quality content conforming to global standards. At Vistas, every assignment is a collaboration of writers, designers and the technology team. Our writer's efforts are transformed into art when it goes through the design team and then equipped with features & functions in the technical department. Quality content generated by Vistas team of content writers translates into good products/services to the consumer, only because it is presented well. Our writers are trained to generate informative content to entertain and attract readership as potential customers are much more likely to make purchases when sales copy succeeds in promising benefits and reduces risk. We know that reading habits widely vary today, there are those who like to read and others who don't, however, interesting content is imperative for a communication to succeed, it creates a positive image sub-consciously even among those who might not read every word. In addition to compelling content writing, we will help organize navigation structure, plan information flow and create a popular brand image for your products/services/organization.